I’m finishing the message for my mother in law’s (Emily’s mom) funeral and in tears, I’m so thankful to have known her. She was a gift to me. I pray that the words God has given me will honor her and point people to Jesus. We will laugh, celebrate, cry and be filled with hope as we remember a life well lived…a life that made much of Jesus! 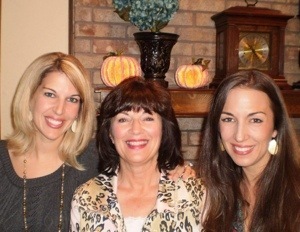 Here is a picture of Cynthia with her daughters (my wife is on the right).